Have you achieved a great deal of success but still find yourself feeling unsettled or questioning whether you're on the right path? Do you dread waking up in the morning and find it more difficult to motivate at work? Ever find yourself just sighing, "there's gotta be more than this." 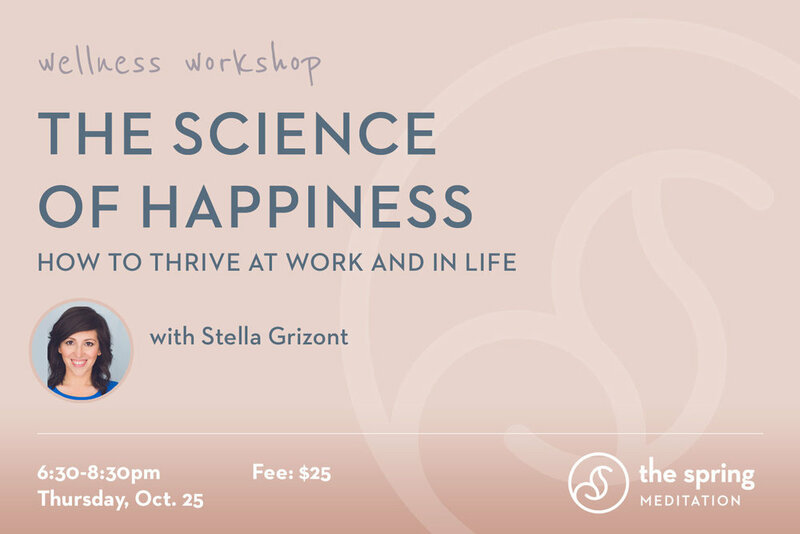 Stella Grizont is a happiness expert, executive coach, and speaker. As the founder of Woopaah, she works with overachievers who are seeking deeper career fulfillment and with organizations who are dedicated to elevating the well-being of their employees. In the last 13 years, Stella has coached over 1,400 individuals in 21 countries. Some of Stella's corporate clients include Google, Johnson & Johnson, VMWare, Aramark, and Genentech. Stella’s unique approach to being happier and more engaged on the job has been featured in the media including: MNSBC, The Today Show, Curiosity.com, NPR, Entrepreneur, Vanity Fair, Fox News, and ABC. Stella was one of the first 150 people in the world to earn a master's in applied positive psychology (aka the science of happiness) from the University of Pennsylvania. She holds a bachelor’s in Economics from Barnard, College, Columbia University. She now lives in New Jersey with her husband and toddler, who continue to teach her what life is all about.